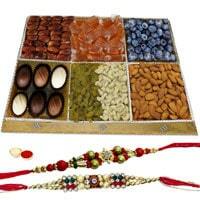 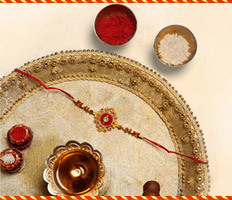 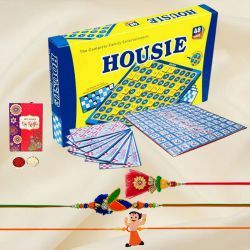 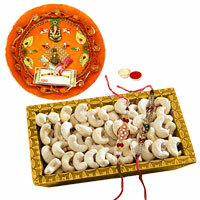 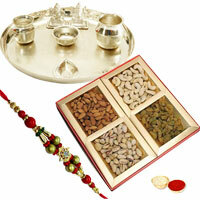 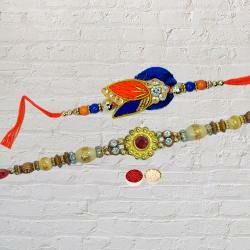 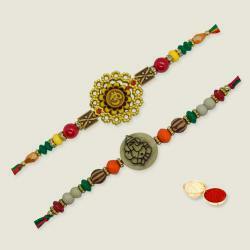 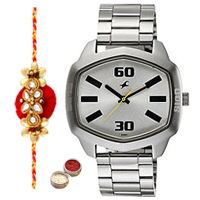 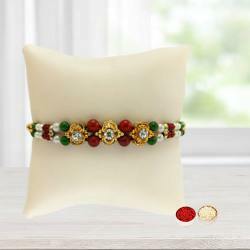 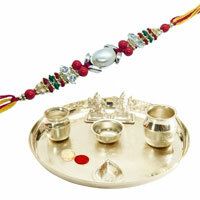 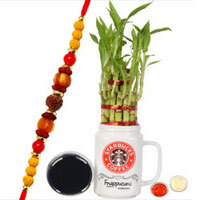 Sending Rakhi Gifts to Jaipur Online for your loved ones can surprise the receiver passionately. 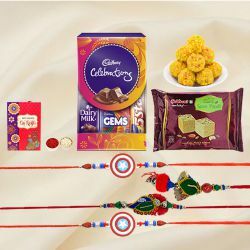 Browse through our Online Catalogue and order from wide range of Rakhi Gift like Rakhi with Sweets, Rakhi with Chocolates or Rakhi with Dry Fruits for Timely Delivery of Rakhi Gifts to Jaipur at No Extra Cost. 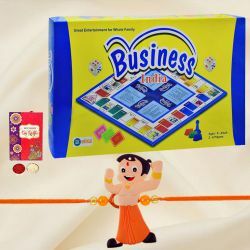 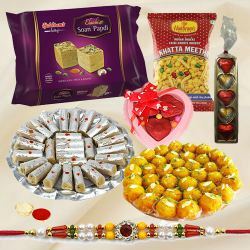 Our Large Delivery Network provide Online Delivery of Rakhi Gifts to various location of Jaipur such as Ajmer Road, Malviya Nagar, Sardar Patel Marg, Shastri Nagar, Jagatpura, Arjun Nagar, Bhawani Singh Road, Parthviraj Nagar, Tilak Nagar, Niwai, Vidhyadhar Nagar, Lalarpura along with many such locations. 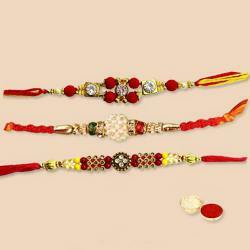 We offer Same Day Delivery and Assured Delivery service which help you send Rakhi Gift to Jaipur in a Hassle Free Manner. 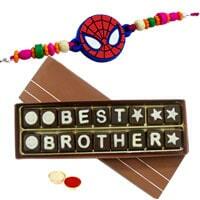 In the past days, while sending Rakhi Gifts to Jaipur for your loving Brother, we had to post them. 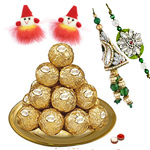 If we were lucky then the gift would reach while in other times the gifts would get lost on the way. 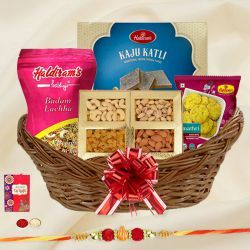 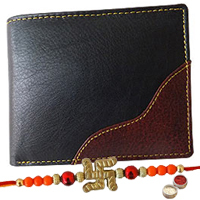 But now-a- day, with the introduction of e-commerce, like us, you need not worry about Rakhi Gifts Delivery to Jaipur and also you can be certain that your gifts will reach your Brother on Time. 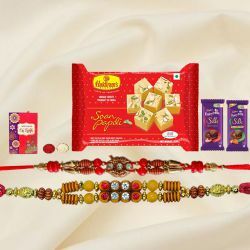 Order Rakhi Gifts to Jaipur Online through our Website Portal as we offer a wide variety of Rakhi Gifts and get assured Same Day Delivery of Rakhi Gifts in Jaipur. 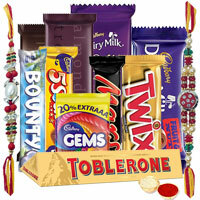 All orders are executed with free delivery charges. 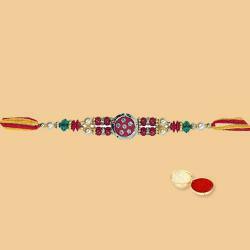 Raksha Bhandhan is the festival where sister ties a silken tassel on the wrist of her brother, pray for his good health and happiness and give Rakhi Gifts to Brother. 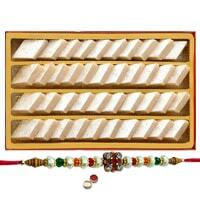 In return Brother blesses their Sister and promises to protect from the evils of the world and feel delighted in giving Rakhi Return Gifts for Sister of her choice. 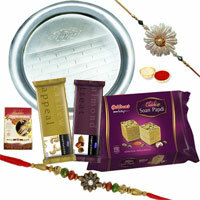 Our E-tail is one of the pioneers in Sending Rakhi and Rakhi Gifts Online to Jaipur. 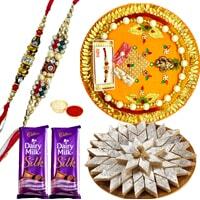 We offer the most convenient and easy ways for Rakhi Delivery in Jaipur Online. 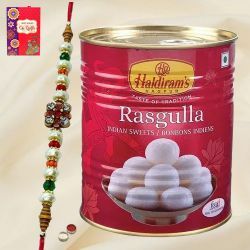 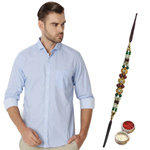 Our Online Catalogue offers a variety of Rakhi Gifts such as Rakhi with Sweets, Pantaloons Gift Vouchers with Free Rakhi or Pen Set from Parker with Rakhi at reasonable rates. 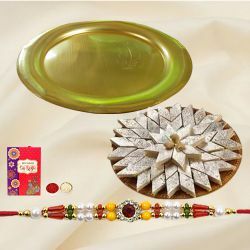 So, Order for Online Rakhshabandhan Gifts to Jaipur from our Website Portal where you can find the best Gift for your dear siblings. 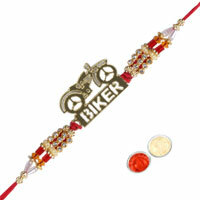 Raksha Bandhan cherishes the unconditional love and sense of commitment between siblings irrespective of their age. 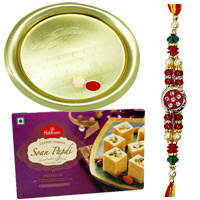 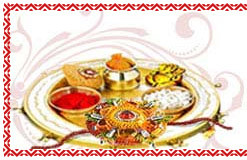 Auspicious Pooja Thali, delicious Soan Papri from Haldiram or ethnic beauty of Fancy Rakhi can be the best bet for Sending Rakhi Gifts to Jaipur to express love and regards for your siblings. 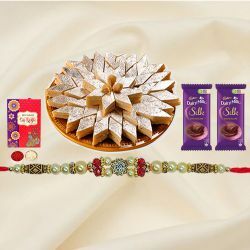 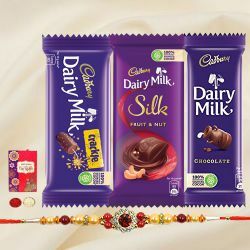 The sight of charming Silver, Gold N Rodhium Rakhi and mouthwatering Best Sister Chocolate Pack (18pcs) is always pleasing to eyes and palette as well. 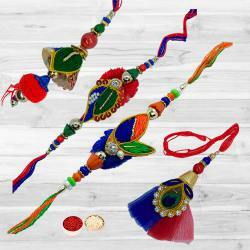 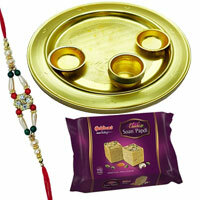 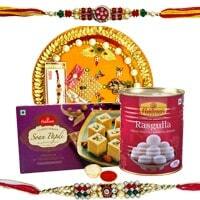 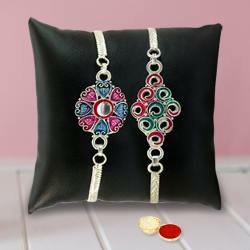 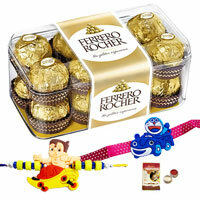 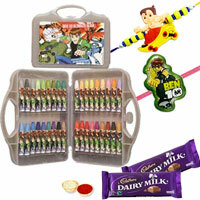 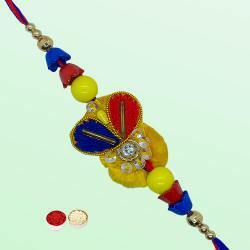 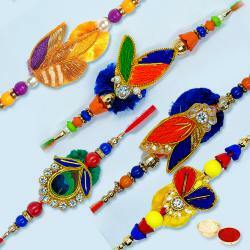 So, Send Rakhi and Rakhi Gifts to Jaipur Online as we offer the finest range of Rakhi Gifts at our E-shop. 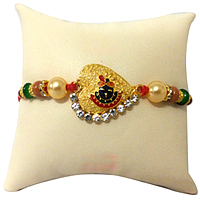 Our Customer friendly Agents are available 24x7 for any assistance that you might require for Sending Designer Rakhi to Jaipur Online to please your loving brother.